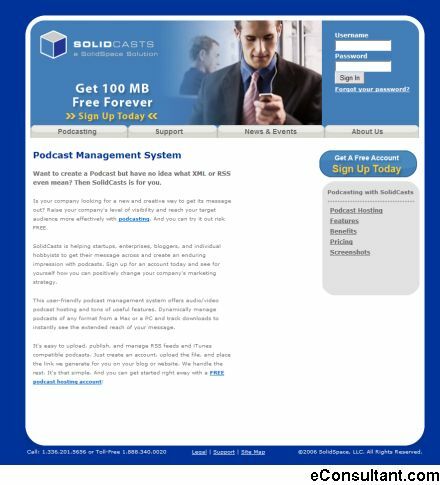 Description : SolidCasts is a powerful, user friendly Podcast Management System that can help you easily upload, publish and manage your Podcasts. Fill out a simple form, upload the file and then place the link we generate for you on your blog or website. SolidCasts handle the rest. It’s that simple. And you can get started right away. Free.